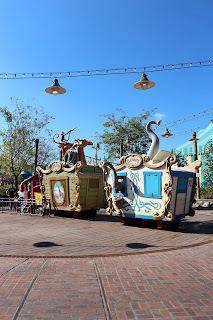 Kingdom Konsultant Travel Blog: What is the Best Age to take Children on a Disney Vacation? What is the Best Age to take Children on a Disney Vacation? We all know that Disney parks are for "the young and young at heart". Walt Disney's vision was to create a place where both adults and children could enjoy spending time together. But is there such a thing as "too young"? Many parents wonder how long they should wait until their children are the perfect age for their first Disney trip. I'm going to let you in on a little secret- there is no magic number! The perfect age for kids is whatever age they are right now. From babies to teenagers, children of all ages can enjoy the magic. One common argument against taking little ones: "They won't remember it anyway." While this may be true, the parents, siblings, and anyone else who comes along definitely will- and the memories they make will be priceless! As you read this, moms in Disney Parks around the globe are tearing up at the excitement and joy on their babe's face as they meet Mickey Mouse. Not to mention the oh-so-adorable photo opportunities (who doesn't love a good picture of a toddler in mouse ears?) Even if they won't remember it, you will, and waiting until the younger one(s) reach a certain age may be depriving yourself or the rest of your family of some fantastic experiences and memories. Another frequently heard myth: "It would just be too hard with a young child." Actually, a Disney trip is surprisingly easy and manageable with little ones! Besides the fact that babies and young children are pretty portable and adaptable, Disney has gone out of their way to make things smooth for families. 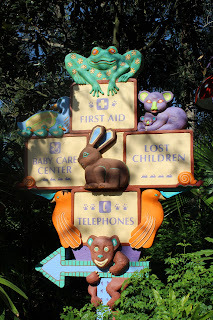 The parks are very stroller friendly, and each one has a baby care and first aid center. There are plenty of rides and attractions to enjoy and keep even the littlest members of the family entertained. If they aren't yet tall enough for those rides with a height requirement, Disney can offer you a pass that will allow the rest of your party the ability to ride without having to wait twice. Simply inform the cast member at the entrance that you will need to do a swap. After the first riders stand in line and have finished riding, whoever stayed off with the little one can utilize the fast pass line, with 1 additional rider. Throughout the parks are play and splash areas where kids can run around and release some of their energy and excitement. They also provide an opportunity for mom and dad to sit for a minute and rest their feet! An exciting newer addition is the indoor queue at Dumbo. Instead of standing in line for your entire wait, you'll enter the "circus tent" with a fantastic kids' play area, complete with benches for you to take a seat (as well as air conditioning!). You'll be handed a pager, which will alert you when it is time to head out for your flight. If you decide you need a bit more time, simply let the cast member know, and they'll hand you a new pager with an updated time. Speaking of rest- there are plenty of benches everywhere you look, and lots of quiet areas to step away from the crowd for a few moments. Should you need a bigger break, Disney transportation makes it easy to quickly slip back to your hotel for a nap or dip in the pool. I think the greatest reason to take young kids or babies is the chance to see them explore, and for you to experience the "World" through their eyes. They won't enjoy it any less than older kids, they'll enjoy it differently. Each age will have a completely different experience, but all will be amazing and memorable.We are about to take our son on his 4th Disney trip just before he turns 3; each visit has been wonderful for different reasons, and a brand new experience to him each time. On the other side of the spectrum are parents who fear their children are too old, and worry that Disney Parks are aimed at younger children. The truth is, Disney has a way of keeping the magic alive for all of us- from babies to grandparents. 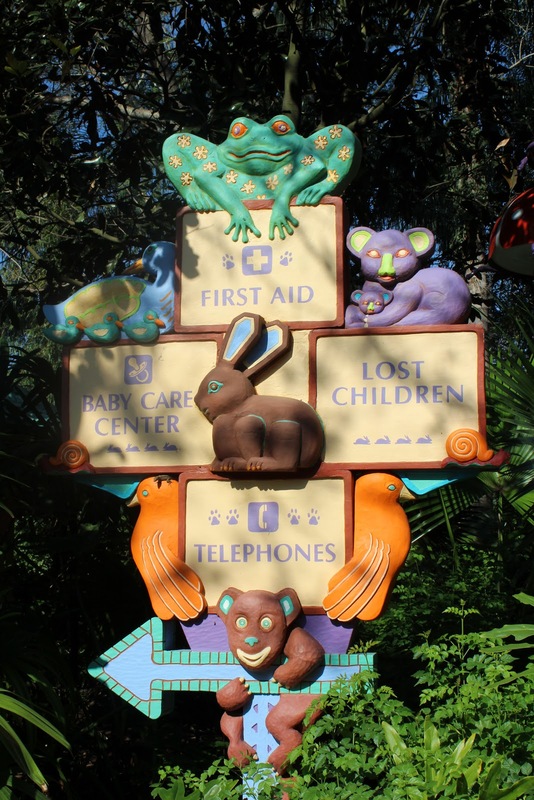 Along with the laid-back attractions that babies will enjoy are more thrilling rides aimed at older children. But the fun doesn't end in the parks! At Walt Disney World, adding on the Water Park Fun and More option to your tickets opens up an even bigger world of opportunities: water parks, DisneyQuest and miniature golfing can all be enjoyed by big kids. If they like bowling, they'll love Splitsville at Downtown Disney. There is also Parasailing and other water sports at the Contemporary Resort (and a variety of water craft at the marinas of other resorts as well). But don't be surprised if your teenager gets one sprinkling of pixie dust, and is suddenly wearing a silly hat and acting Goofy and Happy (or maybe even a little Dopey). Whether old or young, your children will find plenty of magic, excitement, and adventure on your Disney trip!